You can find all the photos and videos of Stana promoting Absentia in Portugal and Spain last week below! Amazon has set Friday, June 14 for the season 2 premiere of thriller Absentia,starring and executive produced by Castle alumna Stana Katic. All ten episodes of season two will debut to Prime members in the US, UK, Germany, Australia, Austria, India, Israel, Italy, Netherlands, Singapore, South Korea, and other select territories globally. You can watch a teaser trailer above. Created by Gaia Violo (Blood & Treasure) and Matt Cirulnick (South Beach) and based on a pilot script originally written by Violo, Absentia centers on FBI agent Emily Byrne (Katic), who had disappeared without a trace and was declared dead after hunting one of Boston’s most notorious serial killers. Six years later, Emily was found in a cabin in the woods, barely alive, and with no memory of the years she was missing. Returning home to learn her husband, Special Agent Nick Durand (Patrick Heusinger), had remarried and her son, Flynn (Patrick McAuley), was being raised by another woman, she soon found herself implicated in a new series of murders. In season two, after tracking down and killing her abductor, Emily struggles to define her new normal as a mother and a survivor of six years of physical and mental torture. Even while she rebuilds her relationship with her son, Emily still cannot shake the darkness of her past. She enlists Boston police detective Tommy Gibbs (Angel Bonanni) in a secret investigation of her mysterious history. When the case turns deadly, she risks everything to uncover the truth and protect her family. Absentia was commissioned for Sony Pictures Television’s international networks, is produced by Masha Productions and distributed by Sony Pictures Television. Oded Ruskin (False Flag), executive produces alongside executive producers Katic, Matt Cirulnick (South Beach), Julie Glucksman (Still Small Voices) and Maria Feldman(False Flag). Directors also include Adam Sanderson (Mermaids) and Kasia Adamik (The Border). I’ve added episode stills for Absentia 2.01 “Casualties” along with miscellaneous BTS photos from social media and a promotional poster and photoshoot. You can find everything at the links below! After rescuing her family, clearing her name, and returning to “normal” life, former FBI agent Emily Byrne (Stana Katic) is still riddled with guilt and self-doubt, struggling with the unknown of what truly happened to her during her years of captivity. Hungry for answers, Emily chases down leads with the help of BPD Detective Tommy Gibbs (Angel Bonanni) but only finds more questions. I’ve added videos and photos of Stana at the 12th Küstendorf International Film and Music Festival in January, in which she served as chairman of the jury. Enjoy! 11/12/2018 – On November 4, SOS Children’s Village of Tryavna turned into a small filming ground. The reason – Stana Katic, the star of Castle and Absentia, and part of her team currently taking part in the second season of Abssentia, organized a cinema workshop for children from SOS host families in the children’s village. Within the workshop, children had the opportunity to fully immerse themselves in the magic of cinema. They first took one or two lessons in acting with Stana Katic and Matthew Le Nevez. Then they took part in the crazy games of Sophie Shushkova, the owner of “Blenders”, a school for children-actors. Then came the stage and the visual effects – there were tattoos, scars, a complete makeover … And just when kids thought they had seen everything, François Kötzer, who was responsible for the cascades in the series, surprised them great. Together with his colleagues, he ran a rope trolley in the village. The most extreme downhill and unforgettable experience for the children followed. At the separation, Stana Katic delivered countless gifts to the children. She and her team returned, filled with positive emotions from the meeting with the children, and the children were enthusiastic – now most girls want to become actresses and makeup artists, and the boys are stuntmen. We only have to make their dreams come true. It took awhile but Amazon has officially picked up a second season of thrillerAbsentia starring and executive produced by Castle alumna Stana Katic. It will debut in 2019 on Prime Video in the U.S., as well as in select markets globally, including Australia, Austria, Germany, India, Israel, Italy, Netherlands, Singapore, South Korea, Turkey and the U.K.
New cast members joining season two — currently filming in Sofia, Bulgaria — include Matthew Le Nevez (The Widow) and Natasha Little (The Night Manager). Patrick Heusinger returns for season two as Emily’s (Katic) ex-husband and Special Agent Nick Durand. Absentia was commissioned for Sony Pictures Television’s international networks. It is produced by Masha Productions and distributed by Sony Pictures Television. Soon after Absentia’s Amazon debut in February, speculation started about a Season 2 renewal. In anticipation of a pickup, Sony last spring got the writers back together to work on scripts. 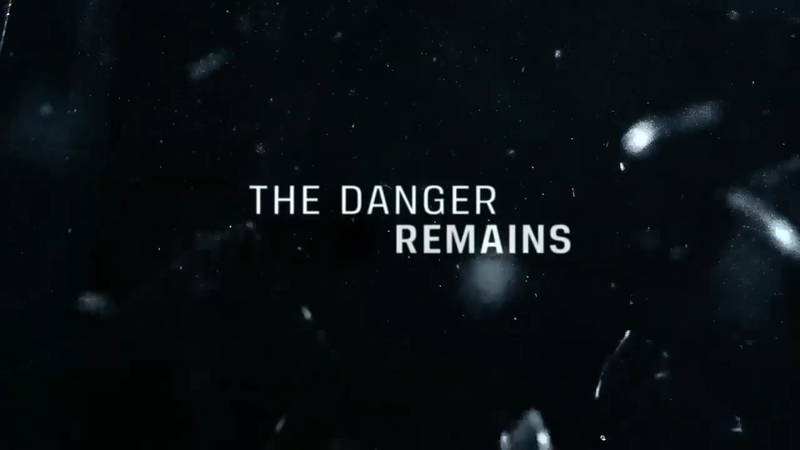 In June, the series was renewed in Canada. Absentia centers on FBI agent Emily Byrne (Katic). In season one, Emily disappeared without a trace and was declared dead after hunting one of Boston’s most notorious serial killers. Six years later, Emily was found in a cabin in the woods, barely alive, and with no memory of the years she was missing. Returning home to learn her husband had remarried and her son was being raised by another woman, she soon found herself implicated in a new series of murders. In season two, after tracking down and killing her abductor, Emily struggles for a tenuous new normal with son Flynn and ex-husband Nick. But her obsessive investigation into the questions that haunt her uncovers a serial killer and a spiraling conspiracy that threatens more than just her family. Le Nevez will pplay Cal Isaac, a rugged ex-Navy SEAL with a disarmingly upbeat disposition. Cal’s familiar with the demons that chase Emily (Katic) and proves to be a loyal and sympathetic counterpart to the series heroine. Little will portray Special Agent Julianne Gunnarsen, an accomplished, enigmatic and beautiful FBI Profiler with a chilly efficiency who joins the ranks of the Boston FBI Field Office after a deadly terrorist attack rocks the city. Absentia’s returning cast also includes Cara Theobold, Neil Jackson, Angel Bonanni, Paul Freeman and Patrick McAuley..
Absentia, created by Gaia Violo and Matt Cirulnick based on a pilot script originally written by Violo, started with a 10-episode straight-to-series order by Sony Pictures Television Networks’ AXN for premiere on AXN’s worldwide channels and a plan to seek distribution in the U.S. and outside of AXN’s footprint once the show was completed. It landed at Amazon after launching on Sony’s AXN channels in fall 2017, ranking as the number one program in its time slot when it debuted in Spain, Portugal, Romania and Poland. The series is executive produced and directed by Oded Ruskin, alongside executive producers Julie Glucksman, Katic and Maria Feldman. Directors also include Adam Sanderson and Kasia Adamik.